Are you looking for one of the professional cross country movers or long distance moving companies in Orange County? Then you are on the right page. 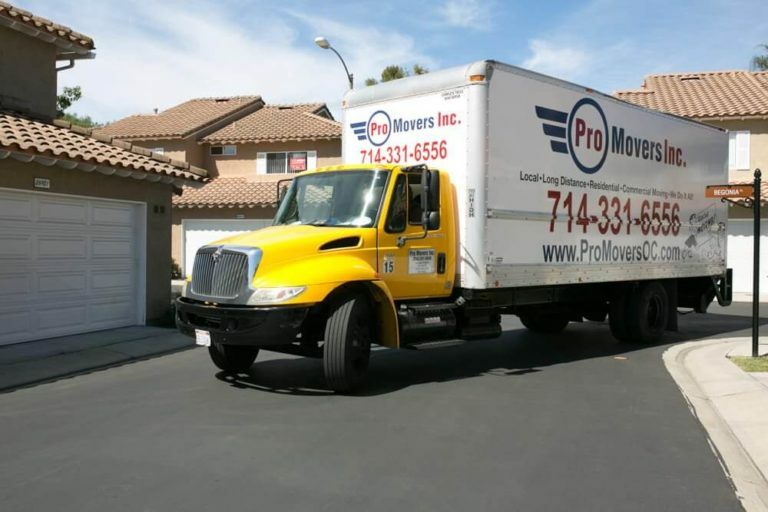 We at Pro Movers take pride in being the most recognized and well-known name in the world of Orange County long distance movers. We are ahead of our peers in many ways and thus, you should choose us over others. Hundreds of satisfied customers will attest to that. However, if you are still looking for reasons, kindly keep reading this page to know more about us, the best Orange County long distance movers. Firstly, we take up all kinds of projects. We do all jobs – big and small and cater to all our clients in an equal manner. We are not biased and provide residential, office and labor moving services. Also, unlike many cross country movers or long distance moving companies in Orange County, we do not charge any hidden fees. We give an upfront quote and that is why our customers love us. We do not believe in surprising the customers at the last moment with a lump sum bill! So do not worry, if you choose us, you will get the best services at the most pocket-friendly rates. We have hundreds of excellent reviews on Yelp that has earned us a 5-star rating. You can also check our rating on Google Reviews and Angie’s List – our Grade A should surely impress you and we are proud of this. Our customers love us! We provide all the tools and equipment that are necessary for a smooth service. We believe in upgrading our tools from time to time and that is how, we can deliver the best services in the industry with our expert Orange County long distance movers. We keep our trucks clean to facilitate the transport of your items. We are punctual and ensure that the entire plan is according to the fixed timing. Every truck is equipped with GPS unit, so we know exactly where your items are. This is another reason why you should choose us and not settle any other interstate moving and relocation companies in Orange County. These you have it, the six main reasons why you should choose us over other Orange County long distance movers. To know more about us, one of the leading long distance moving companies in Orange County or to hire us, please call us or drop a query on our official website. We would be happy to help you with your relocation needs. $55 per hour for 2 movers no trucks no equipment. $25 per hour for each additional mover. A small fee for gas/mileage for our movers to come to your location. We wrap, load, unload, and unwrap every piece of furniture or equipment in our truck and leave it exactly the same condition, as it was when we picked it up. Or you can hire us, Pro Movers to do your move from point A to point B. We only use our employees, trained professionals not day laborers and sub-contractors.